Gothenburg’s famous fish and seafood restaurant Räkan has moved to the capital. And naturally we brought with us our Western Swedish delicacies so that you can experience the best of the West Coast on the East Coast. At Restaurang Räkan, we serve fish and seafood as they were meant to be served: fresh and from the West Coast. And we’ve been doing this for as long as we can remember. 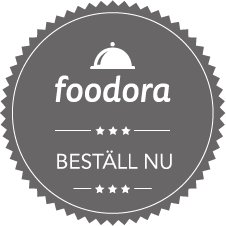 Or at least ever since we opened the doors of the original Räkan on Lorensbergsgatan in Gothenburg 40 years ago. The restaurant that filled its menu with fresh seafood almost immediately became a classic with locals and international visitors alike. Our shrimp sandwiches and langoustines have been enjoyed by world celebrities like Freddy Mercury, Mel Gibson, Kiss and Donald Duck cartoonist Don Rosa. In 2015, we moved our business from Gothenburg to Stockholm. That makes Restaurang Räkan on Vasagatan the only East Coast restaurant where the food tastes like the West Coast. 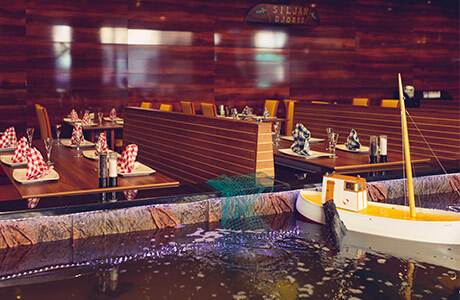 The serving is an experience in itself, as your meal comes loaded on a radio-controlled fishing boat that you steer to your table. That we always serve fresh catch you’ll notice in the fresh taste of your meal. At Restaurang Räkan, it’s our love of the raw ingredients and Swedish aquatic life that are indispensable to the full seafood experience you get with us.